Published in the journal PLOS Medicine, the study's results suggest stricter mitigation policies should be applied to reduce greenhouse gas emissions, because lower greenhouse gas emissions are linked with fewer deaths due to heatwaves. 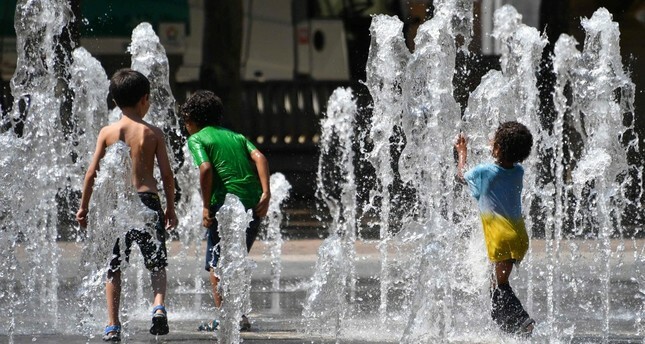 Antonio Gasparrini, an expert from the London School of Hygiene & Tropical Medicine who co-led the research, noted that several countries around the world are currently being hit by deadly heatwaves and said it was "highly likely" that heatwave frequency and severity would increase under a changing climate. "(But) the good news is that if we mitigate greenhouse gas emissions...then the projected impact will be much reduced." The researchers said they hoped their research, which used mathematical modelling, would help decision makers in planning strategies for climate change. These predictions improved, however, when scenarios were modelled with policies implemented to fulfill the Paris Agreement on Climate Change. Under the least extreme scenario, and compared with the period 1971 to 2020, the study predicted that Britain would see only around double the number of excess deaths caused by heatwaves in 2031 to 2080. The findings "should therefore be interpreted as potential impacts under hypothetical scenarios, and not as projections of (the) future," they said in a statement.